Menopause is not a disease that requires curing, but a natural life-stage transition that every woman will go through. For many women, though, it’s not an easy transition. At MNMC, the menopause clinic Melbourne women trust, we can provide natural remedies for menopause symptoms that help to make the process a little easier to cope with. 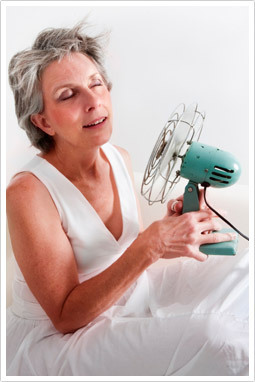 Located in North Melbourne, our menopause clinic can provide you with the support you require. Menopause signals the end of menstruation and a woman’s years of fertility. While the term technically refers to the final period, it is more a gradual process than an abrupt event. The ovaries, which up until this point have been consistently producing eggs and releasing the hormones oestrogen and progesterone, begin to slow down. How Can I Tell If I’m Menopausal? Unfortunately, there’s no way to determine exactly when the ovaries will begin slow down producing ova and secreting oestrogen and progesterone. Your menopause naturopath can run some simple blood tests and salivary hormone tests to get an indication, as well as looking at body type, family history and lifestyle to gain a general idea of when menopause might begin. If you began menstruating early in life, don’t automatically assume that you will stop having periods early. For most women, it’s highly likely that they’ll enter menopause at about the same age as their mother. Smokers may experience the transition to menopause later in life than others, as might people who are overweight. Make an appointment with our naturopath for an accurate diagnosis and to discuss natural hormone replacement therapy for menopause. About 70% of women approaching menopause will be affected by related symptoms. Changing hormonal levels in the female reproductive system causes typical menopause symptoms such as hot flashes or night sweats. At Melbourne Natural Medicine Clinic, we can provide natural hormone therapy for menopause to manage the process and alleviate the severity of symptoms. As a woman progresses through menopause and the natural production of oestrogen slows down, they can become more susceptible to other health problems. The natural remedies for menopause provided by the naturopaths at our menopause clinic in Melbourne provide the support our clients need to avoid unnecessary complications. We try to encourage women not to look at menopause as a disease but as the natural stage of life that it is. We promote natural medicine for menopause by helping you adopt positive lifestyle changes and create good eating habits while going through the transition. We’ll offer safe herbal and dietary advice that will aid you in reducing the symptoms of menopause, such as increasing your intake of foods that contain natural oestrogens in order to reduce hot flushes and relieve symptoms associated with low moods, insomnia and even vaginal dryness. Your specialist naturopath at our menopause clinic Melbourne may recommend you have a salivary hormone profile or a blood FSH and LH test for you to confirm menopause. Salivary hormone profiles give information on the hormone levels of many hormones, including Progesterone, Estradiol, Estriol, DHEA, Cortisol, Androstenedione and Testosterone. If you’re interested in natural treatment for menopause, take a proactive approach and consult with one of the highly qualified menopause naturopaths at MNMC today. You can arrange an appointment online, email us, or call (03) 9686 2566.